Since 1953, White House of Music has provided Southeastern Wisconsin with the best selection of musical instruments, sheet music, music accessories, and rental, repair, and music education services. The White House String Shoppe, a soundproof, elegant room in the Waukesha store, caters exclusively to the needs of orchestral strings musicians with tested and tuned instruments ready for you to play and a variety of accessories and sheet music. Whether you’re a complete beginner, the non-musical parent of a beginner, an advanced player, or a returning player, our staff can’t wait to serve you. We promise that when you visit our stores, give us a call, or visit us online, we will listen to your needs and help solve your challenges professionally and promptly while providing the highest-value musical products and services. Stop in today and find Music for Life! What Will You Find at White House of Music? Hand picked musician- and director-approved instruments, accessories, sheet music, and more! That’s what you’ll find when you stop into our six convenient retail stores. 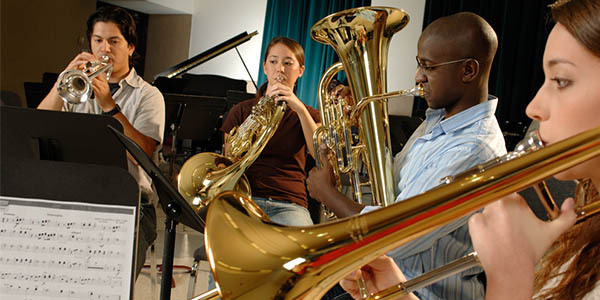 Our collection of student and beginner musical instruments is second to none in the area, and the advancing and professional musicians will appreciate our fine instrument and heirloom quality instruments available for their unique needs. If it’s musical, you’ll find it here! We carry a variety of flutes, piccolos, clarinets, saxophones, oboes, bassoons, and bass clarinets for the beginning, intermediate, advancing, and professional musician. Our extensive selection of trumpets, trombones, french horns, baritones, and tubas include both new and quality used instruments for every budget and every level of player. The fine selection of violins, violas, cellos, and string bass instruments includes both beginning and advancing options – visit the String Shoppe in Waukesha for a special experience! We are Southeast Wisconsin’s exclusive Yamaha Clavinova dealer. If digital pianos are the instrument for you, stop by White House of Music and learn more about this high quality instrument! We carry a wide variety of keyboards that express a realistic feel and sound. Keyboards are a great, affordable option to practice piano in your home, whether in a one room apartment or four bedroom house. With a wide variety of printed sheet music across all genres and instruments, our in-store selection is complemented by our online sheet music vendors. Electric. Acoustic. Bass. Pick your passion! From affordable beginner guitars for aspiring players to beautiful big bodied sound, you’ll find it at White House of Music. 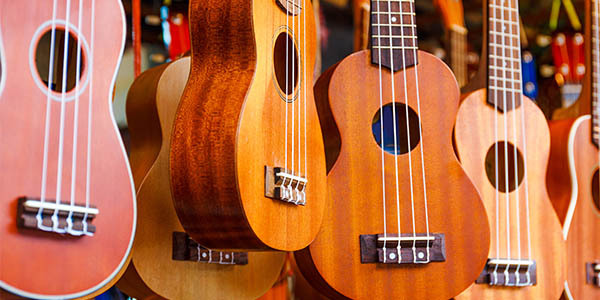 Whether it’s the mandolin, banjo, or ukulele, White House of Music carries affordable folk instruments for a variety of players. And check out our monthly Uke Circle classes if you are just getting started. Pair your instrument with an amp; we have models for guitar, bass, and microphone – featuring headphone, record output, built-in tuners, and even battery powered operation, you’ll find it here! From full drum sets to individual instruments, we carry both traditional and unique instruments such as djembe, cajóns, and other percussion sounds. Right alongside our extensive instrument selection, you’ll find a variety of accessories such as cases, strings, straps, stands, lights, cleaning & care supplies, and more! Let us know what you are looking for! You don’t have to spend a fortune to begin playing. White House offers an ever-changing selection of gently used instruments to fit the skill level of your musician within your budget! Schedule an appointment today in one of our six locations. Purchase an instrument from White House of music and get a 12 month no risk purchase guarantee. The guarantee gives you 12 months to upgrade or return the instrument. You may apply 100% of the original purchase price to any instrument that is an upgrade from your originally purchased instrument. Qualifying upgrade instruments are determined by White House of Music. 2 month return privilege: After a minimum of 3 months you may return your instrument, in excellent condition, and receive and refund less 5% of the value of the instrument per month since your original purchase. Instrument condition is determined by White House of Music. While appointments aren’t required in any of our stores, they do make sure that you receive one-on-one assistance as soon as you step foot in the door.